The process of becoming a certified Iyengar Teacher is a rigorous path which requires a lot of time and energy and not to mention testing. Greta Kent-Stoll is working towards her certification. Greta teaches the Sunday Morning 9:00 o’clock class. Please join her for an invigorating way to start your Sunday. Greta Kent-Stoll began to study yoga while in her 20s. When she met her first Iyengar yoga teacher, Kofi Busia, in 2003, she knew she had stumbled upon the “real deal.” Greta did her yoga teacher training at the Iyengar Yoga Institute of San Francisco (IYISF), and has made two trips to the Ramamani Iyengar Memorial Institute (RIMYI) in Pune, India. Greta is infinitely grateful to have studied under Senior teachers Manouso Manos, Kofi Busia, Ramanand Patel, as well as a number of other gifted teachers. Greta has taught yoga extensively to youth, including having created and taught a yoga program for 5th-8th graders at a K-8 school in San Francisco. Before moving to Asheville, she taught yoga at schools, workplace settings, and yoga studios throughout the Bay Area. Greta’s Ayurveda practice, Asheville Ayurveda, is co-located with Iyengar Yoga Asheville. 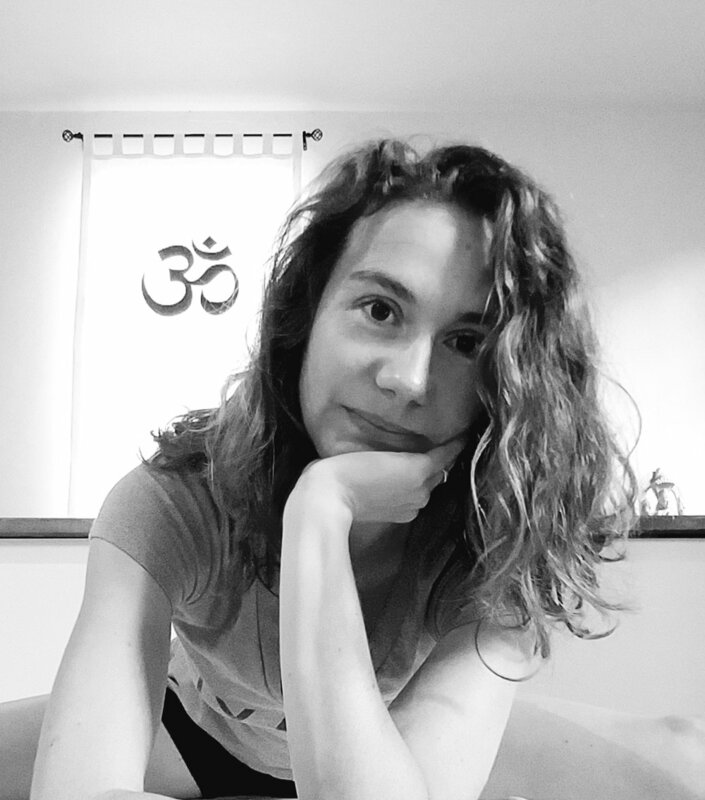 Yoga and Ayurveda have transformed Greta’s life at the deepest level, and through teaching she seeks to share these rich, vast, and rigorous traditions with others.